I have been thinking about this for a while and despite my optimism that Tatnam could be upgraded recent events prove that it is impractical. 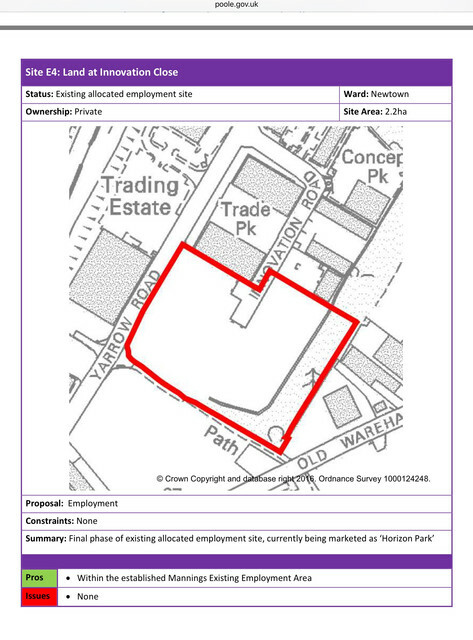 There is no doubt that there is the space at Tatnam to expand given that there is space within the current complex to site the required buildings and even the clubhouse could be relocated close to Stanley Green Road, avoiding the main objections. All the requirements of a National League* ground could be physically be met at Tatnam. Unfortunately the Corby and St Neots Matches have proven that with boisterous crowds, Tatnam is not suitable. Our neighbours and the planners now have ample ammunition to refuse further expansion and with hostile councillors, we are between a rock and a hard place. Maybe we could move to Matchams now the Cherries have ruled it out? . Seriously though we do need a solution soomerather than later on the stadium issue. It's about time we got some news on developments regarding either an upgrade or a new stadium. It would be good to hear either way, we stay where we are or we are moving. The trouble is that land is so scarce in the Borough and any negotiations have to be confidential. I am sure that the future is being planned and that we will hear any plans as soon as possible. In saying that, I am as impatient as you are to find a sustainable home for the Dolphins. Not the speedway stadium please. As I said any moves fur a new Stadium have to be confidential. Although Tatnam could be considerably modified those plans ( if any) could be scuppered. by Ill informed public opinion. Move the club house and other buildings to a new main stand ( similar to the Bearwood plan) on Stanley Green Road, and a lot of the objections to Tarnam go away.. Move the pitch slightly away from Well Lane and you can fit a South Stand..
My main point is that tinkering with Tatnam is not the way forward and whether at Tatnam or elsewhere the changes needed are more than cosmetic. Keep the Town in Poole!! On the site of the speedway stadium, but a new football stadium please. One of the main problems is capacity as laid down in 1.3 of the FA ground grading. Grade C minimum 1950 showing a rise to 3000.For the final game of last season against Corby we had 2200 with fans 3 deep around the perimeter,sitting on the perimeter fence and turnstile roof to gain a view. Grade B minimum 3000 showing a rise to 4000.Terracing would have to be installed to meet this requirement. got that wrong didn't I!!!! and glad to be wrong!! 3G Pitch,floodlight upgrade,7 day open clubhouse,extra revenue generated for the club based in Poole playing in the Wessex League.What would we give for that as another club in Poole playing 3 leagues higher next season in the National South. Looking at this post in June 2016 and reading the Echo on the planned numbers of new housing and building over green space etc planned for Poole. All other considerations aside we need to get our Ground issue settled much sooner rather than later!! Also touted among others for putting housing on is Turlin Moor playing fields and the field behind Esporta on Sopers Lane Waterloo. It seems that nowhere is safe from development. TK has laid down the challenge to Poole Council(Echo) regarding a permanent home for our Dolphins. See The Echo article today regarding Stadia UK plans for Poole Stadium. Then look at the photograph. What a great location. raker at turn #1 in my younger days!! We have dirt bikes and dogs whilst a team like Ebbsfleet down towards the Thames estuary attracts million pound investments and goes to Portugal for training. I dont often post here much anymore but keep up to date with PTFC and the stadium plans as much as i can. One question i would like to know the answer to is has anyone suggested building on the green open space at Sterte? Theres easily enough room for a stadium there as well as parking with very good transport links both via road and rail nearby, plus its within walking distance to the town centre, thoughts please? I have emailed poole town giving them ideas for new ground. Theres a great plot on yarrow rd near tower park not a expert but looks big another to me. am sure we could do a deal with homebase to use car park. I think what the club lacks now is more board members so we can take the club to next level. i would'nt bother we the council as they are there to busy in choosing where to go for lunch. 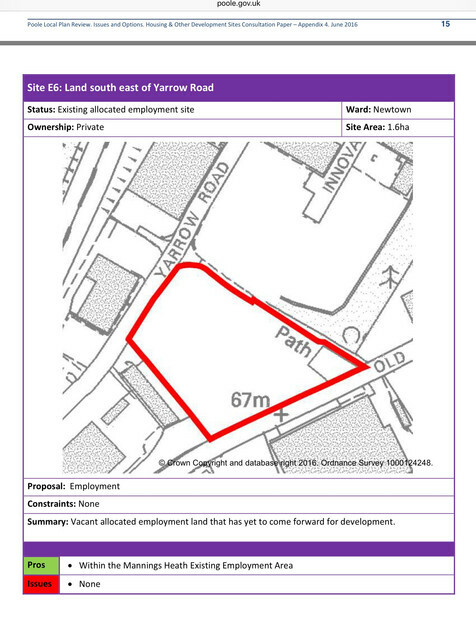 Any land near Tower Park would surely be out of our price range - any large amount of space will be snapped up or already is snapped by a company. It's also not the best place to get to travel wise and Saturdays at 3:00 would endure awful traffic. Presuming that's the land you're talking about, it appears some of it has roads pre-made, suggesting the plots have already been sold. However, on street-view, it looks derelict and abandoned. Could be something. I have only been visiting tatnam for around 8 years, but during this time, as a relative newcomer it has been as clear as crystal to me that the club should only do as much as is necessary to maintain a ground grading...and not to spend anything over and above that. I guess that is what is happening. the need to relocate is obvious to all and i humbly suggest overures be made to the beneficial owners of Hamworthy's ground...either a ground share, merger or whatever. There is plenty of space for development, facilities could be shared throughout the community, Dorset FA would get upgraded admin space etc........and the ground would still be in 'Poole'. & keep the pressure on the pols!! Good idea jonjon and one which I suggested several years ago except that I envisaged a takeover rather than an amalgamation. 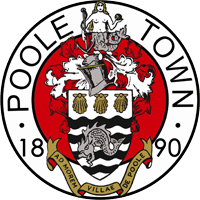 Poole United would be my only concession. However, I believe that the County Ground is the Dorset FA's property. 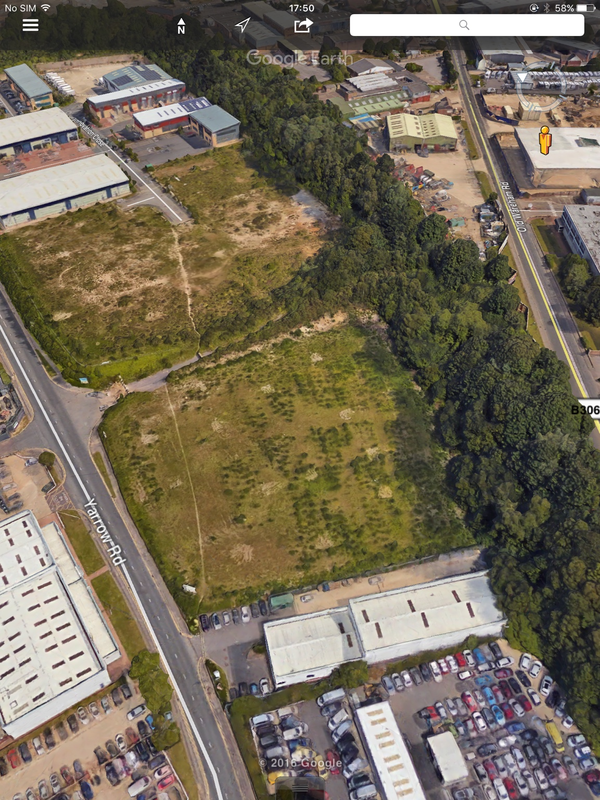 The Land on which the County Ground stands is leased by the Dorset FA from our good friends Poole Borough Council. I don't know whether DFA have ever been approached about a ground share with Hamworthy but they have never openly advocated it either. Despite the new 3G pitch, the Count Ground would need much more work than Tatnam to get to Grade B.
I reiterate that Tatnam could be upgraded but now can't be due to the School's Academy status. After seeing both Eastleigh and Ebbsfleet, it is clear that a forward thinking club can make a success of a stadium that is not in the centre of town. There are few sites anywhere in Poole but those that exist are on the outskirts. Been there done it!!! We went there after we left the s*****m,(albeit after a brief stay at dean court)For a season & a bit,culminating in our 1 point season,when,& I cant remember the details,we were told that our presence was no longer wanted,& we went to Gaunts Common. Hear theres talk of AFCB looking outside of Bournemouth for a convenient new home. Lets hope they are casting their eyes in the direction of Ringwood.Anything in this direction should be reserved for PTFC, and Poole Council should make it their business to let it be known that they support such action. Premier League side. They have the money to make things happen!! "Keep The Town in Poole"